Thom has been on staff since 2018. He received his undergraduate degree from Eastern Kentucky University and his Masters of Divinity from Asbury Theological Seminary. 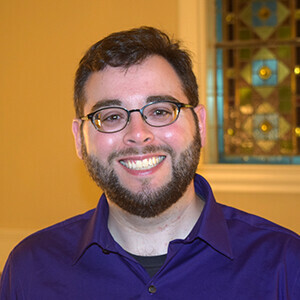 In his role as Associate Pastor, Thom helps connect people to the various ministries of the church and works with new members to engage in intentional discipleship. Thom and his wife Melissa have two sons. He and his wife are avid board game players. "My passion for ministry is found in seeing people become transformed by the presence and grace of Christ in their lives. I love to watch people discover more about God and reshape their spiritual lives."